Though LG said it wasn't the "star" of today's event, the Watch Urbane 2nd Edition LTE (a mouthful) did make a cameo at the presentation. 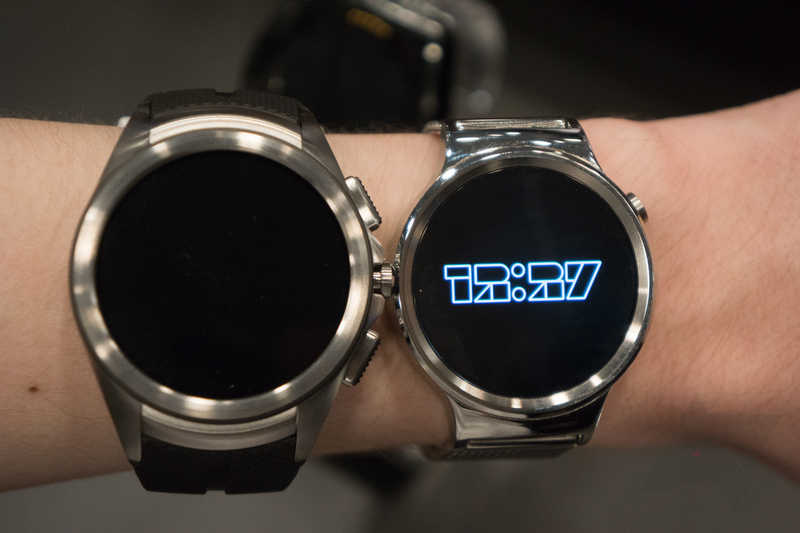 We got a few minutes to play with the device hands-on, but eyes-off - the watches on display were actually powered off, so we couldn't even use them in demo mode. 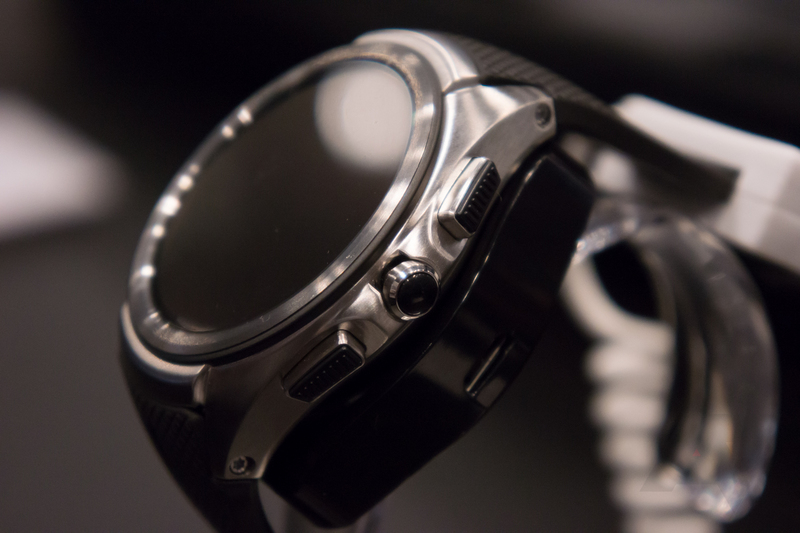 Still, it's worth taking a look at least at the form factor of the watch. The watch is unmistakably chunkier than some competitors, but it's important to remember that those competitors aren't packing in all the extra bits the new Urbane has - the new watch has cellular connectivity (so it has a SIM card too), a 570mAh (hexagon-shaped) battery, a 480x480 display, and a collection of sensors not dissimilar to the phone in your pocket. Plus, a speaker. It also has three buttons on the right side - the middle one acts just like the button on any Android Wear device, while the top gets to your favorite contacts, and the bottom activates an obligatory OEM health feature - LG Health. The watch also has Google Fit (of course), if you'd rather. Next to the Huawei Watch (is "Huatch" a thing yet?) the size difference is more apparent. 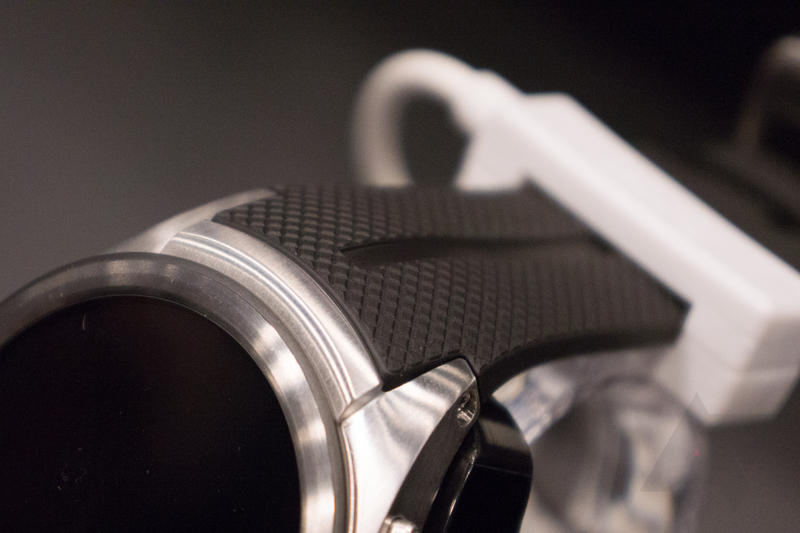 If the Huatch just fits my thin wrists, the new LG watch is just too much (for me). The watch is large and weighty, the weight perhaps due in part to the fact that it uses the same stainless steel (and silicone) of the V10 also shown off today. But of course all those extra parts also take up space and have weight. The bands, by the way, are not removable or interchangeable. LG explained that this is because the watch's important antennas live inside the bands. There will be black, white, and blue variants (like the V10 - so you can match) available at launch. Speaking of launch, we don't know exactly when that will be. LG also hasn't announced pricing, so we will just have to wait and see. It's this writer's guess that the new Urbane will come at a premium given all that extra hardware. What's more interesting than the particular product, at least to me, is that it's running Android Wear with cellular capabilities. Obviously it's the first, but it will be interesting to see if these capabilities pick up steam in future watches, and whether other manufacturers can possibly manage to put the features into a smaller package. We already know that the Huatch probably has a speaker inside, so the question of what speakers will do without cellular radios also begs for clarification. 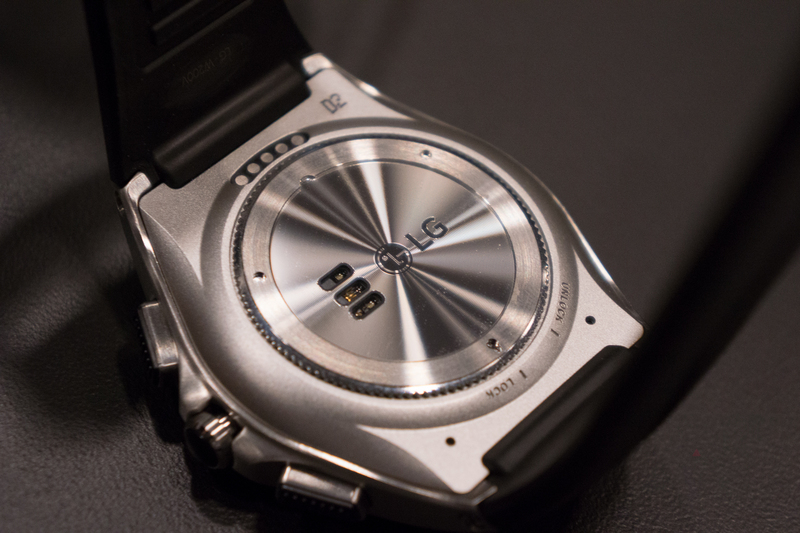 Anyway, other than the PR and promo video from last night, that's all we've got on LG's new watch effort so far. What do you think?